Convenient, pedestrian friendly location! 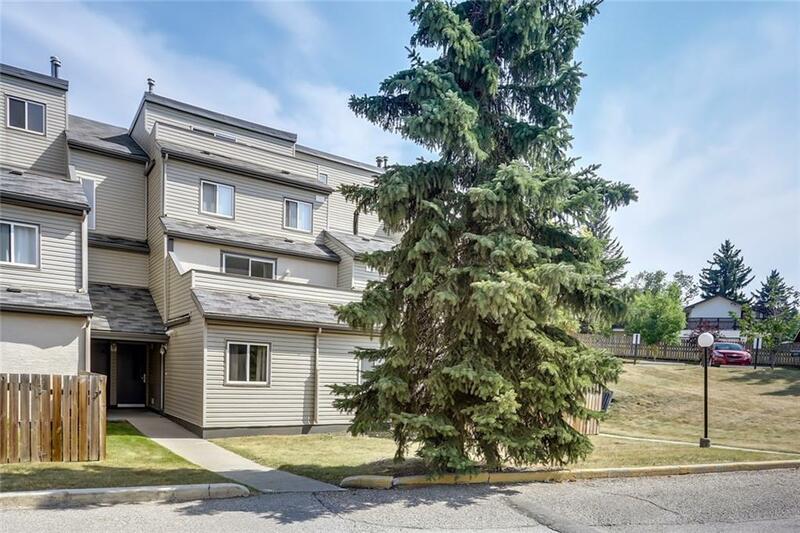 This 2 bedroom, 975 SF suite has everything on 1 floor & is just across from the Foothills Hospital, steps from shops and restaurants, near Children's Hosp., U of C, SAIT, a quick commute to DT and you can be on your way to mountains in just minutes. Features real maple hardwood, updated carpeting, slate tile flooring, fresh and neutral paint, blackout drapes, new intercom, updated lighting & more. 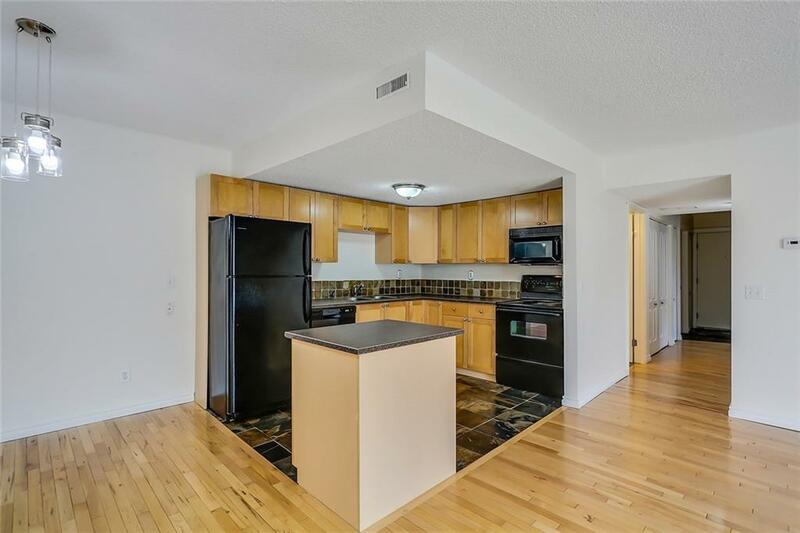 Offers front & back door, maple kitchen with island, black appliances & dining area, sunny living room, 2 big bedrooms, 4-piece bathroom, in-suite laundry (w/high-capacity, candy-apple red washer & dryer) & storage room. Relax on your oversized, west facing deck with lots of room for a BBQ, al fresco dining & tons of space to soak up the sun. Your covered parking spot is just a few steps from the entrance. 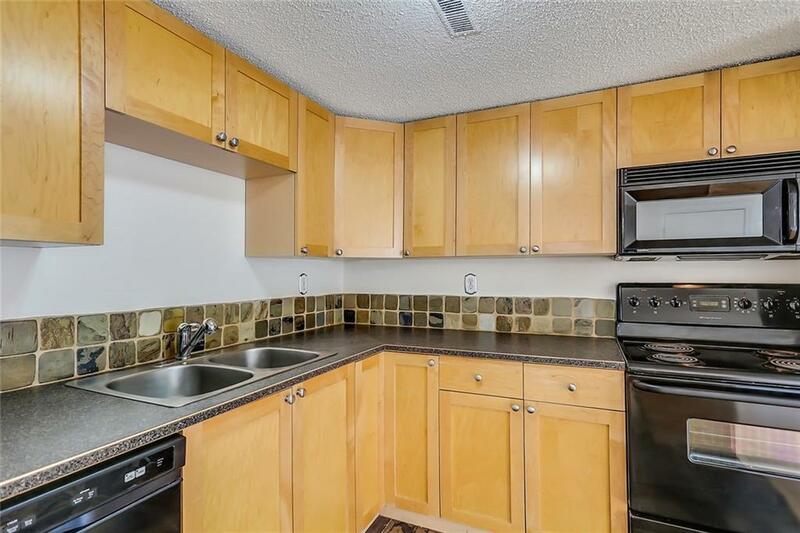 Rental demand is fantastic in this location but first time buyers & even empty nesters can take advantage of this very affordable unit in a well maintained complex.